Do you want to learn yoga or to develop your yoga practice with a yoga retreat in Spain? Come to La Crisalida Retreats to find balance, strength and flexibility through our varied yoga classes with our fantastic teachers. Enjoy your practice outside on our stunning yoga terrace or indoors in our yoga studio. Through regular yoga practice you start to develop inner peace, connecting with the authentic you. Our yoga programme may vary each week, but we usually offer two yoga classes each day, every day of the week. Each of our yoga teachers are highly trained and experienced and they each offer different styles of classes. Some classes are more of a workshop style, where we might focus on alignment for particular asanas. Others classes are more general practice, where we work with the whole body and a wide range of asanas. Our teachers cover many styles including Yin, Hatha, Hatha flow, Anusara and Kundalini, so you have the opportunity to try styles that you might not have experienced before. Some classes are 90 minutes (at least one per day) and some are 60 minutes. We offer classes for either “all levels”, or “intermediate”. You are welcome to attend all classes, however intermediate classes are stronger and may include some more challenging asanas. Intermediate classes are designed for people who are more practiced at yoga. Each week we also offer one yoga nidra, designed to relax your body and connect body, mind and spirit, plus a guided visualisation. Meditation sessions are also available most days of the week. We currently have four teachers leading the yoga classes at La Crisalida each week (two teachers not shown). Lisa combines mindfulness in her classes to encourage you to become present in the yoga asana and in the moment. Lisa first took up yoga many years ago to help relieve lower back problems, build core strength and to find a release from stress. Lisa has been practicing yoga for more than 15 years. She trained with the Mindful Yoga Academy (Alicante, registered Yoga Alliance UK and USA), with Sarah Powers (Insight Yoga) and is also qualified in therapeutic yoga. Lisa is one of the owners of La Crisalida Retreats. Tessa is an enthusiastic and diverse teacher with a passion for movement, creativity and playfulness. She has many years personal and professional experience as a fitness professional, but now enjoys a more ‘holistic’ approach to movement, with yoga, fascia release, MFR and pain management. She was an Aerial Yoga instructor for 5 years before completing her teacher training in Goa, India in Multi-style Yoga - Yin, Hatha, Vinyasa and has been practicing Yoga for 21 years – a long standing relationship of curiosity and personal development. Trained in Thai-massage, Tessa likes to flutter a little massage and alignment techniques into her classes, for maximum relaxation. Raphaela teaches varied styles of yoga, with heart and passion. Over her many years of teaching and practice Raphaela has trained with many teachers including Amrita Yoga (Kerala), Integral Yoga (Tao Prajñananda-Ananda Vir Kaur), Om Shree Om Yoga Children (Christine McArdle), Kundalini Yoga (Ambrosio Martínes-Andrea Märtens), Therapeutic yoga (Gisela Vázquez), Anusara Yoga (Gisela Vázquez), Sridaiva Yoga (John Friend) and Yoga history & Philosophy (Carlos Pomeda). Outside from La Crisalida, Raphaela teaches workshops in childrens yoga, mantra and vibrational gong meditation and is a Reiki master. Tania has been practicing yoga for over 20 years. Her learning and teaching journey has taken her all over the world, including Bali, India, Australia to study with a wide variety of teachers from different backgrounds. She has a particular interest in making yoga practices sustainable throughout our lives, and the therapeutic benefits of yoga. She has worked with people from all ages and backgrounds, and her particular interest in the mental benefits of yoga led to her authoring the first book on Yoga for Dementia. Tania teachers a range of styles of yoga including Hatha, Vinyasa, Yin, and Restorative. In her classes Tania combines techniques to develop awareness, with detailed technical instructions and philosophical reflections to take students on a journey inwards, to come home to themselves. Experience different styles of yoga across each week, with our talented teachers. Allow yourself to calm down and unwind through daily yoga practice in our tranquil surroundings. Although all our teachers offer different yoga styles, one common thread is we all want to encourage you to experience becoming fully present in your body, and to practice with a calm mind. Each teacher looks after the individual as well as the wellbeing of the whole group. Individual adjustments are offered, where appropriate and possible. In her mindful hatha yoga classes Lisa aims to strengthen and stretch, to improve flexibility in all areas of the body and mind. Lisa uses mindfulness in her Hatha classes to become present in the yoga pose and in the moment. She also teaches yin yoga classes; yin is a deep style of yoga that works to release the connective tissue in the body. Asanas are held for up to five minutes and work on moving energy through the meridians in the body. Once per week Lisa offers a restorative yoga class – relax deeply into each asana as we hold for up to five minutes. Tessa´s approach to all Hatha and Hatha Flow Yoga classes combine traditional elements of asana (postures), pranayama (breathwork) and meditation, with a deep focus on alignment and posture. Classes are designed to blend activity and relaxation for an ultimate ´feel-good´ experience. Her Vinyasa classes are strong and dynamic, starting with deep mobility and warm up for total flexibility. She starts at a steady pace, moving faster and stronger into each posture as correct alignment is mastered. 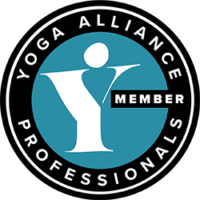 Slow Flow Vinyasa Yoga is a slower pace class focusing on deep, strong, mindful movements. We will explore ‘Pranayama’ breathing while holding poses longer and flowing from one posture to the next. In Yin and Restorative Yoga you can follow the ´journey to stillness´ with quotes, mindfulness and thoughtful expressions to inspire new ways of looking at challenges. In addition to the long held poses and breathwork, Tessa often uses massage, alignment techniques and soothing music to create a complete yogic experience. In her Hatha classes Raphaela includes pranayama, which allows you to sink deeper into the poses and to quieten your mind. In Anusara yoga, Raphaela provides in-depth guidelines in the principles of Anusara alignment – this is a more workshop based class focusing on certain asanas. Raphaela also teaches Vinyasa Yoga – a smooth flowing movement from one asana (pose) to another. Once per week Raphaela leads a Kundalini class, which uses breath and movement to activate and raise the energy or prana in our body. In her Hatha classes Tania always start with some breath work to help you move inwards, into a place of self-awareness and inner contemplation. These classes often focus on a different theme and within each class we will explore a number of positions in more depth, for example through the use of props. Tania´s Hatha-flow classes involve using breath and movement combined to, warm your body from within and explore your range of movement in positions. In her Vinyasa and Slow Flow Vinyasa classes Tania combines breath and movement, to flow in and out of positions. Tania enjoys using creative sequences, such as shoulder opening flows, to help open the body. Tania loves teaching Yin and Restorative Yoga and feels these types of practice are an essential antidote for busy lives. These classes combine information about the physical and mental benefits of the poses, with deep relaxation and inner contemplation, via the telling of selected poems and stories. Once a week Tania leads a ´Yoga Essentials Workshop´. This offers a combination of a little history and philosophy of yoga with practical exercises that cover some fundamental principles which you can apply to many aspects of your yoga practices. I have not done much yoga before and am concerned that I will not be able to keep up in the classes. Can you reassure me? If you are new to yoga then this is a safe environment in which to try it out. Our approach to yoga is based upon listening to your body. To us, yoga is not about achievement or looking “good” (standing on your head, putting your feet behind your neck or attaining difficult poses). Yoga is a personal journey and as such is part of the holistic approach to achieving and maintaining health. Most classes are generally suitable for beginners, with more advanced suggestions given to those who practice yoga more regularly. We also offer intermediate level classes, these are stronger and designed to provide more challenge to people who are more practiced at yoga. If you go to any class and prefer not to do something, then you are welcome to rest and join in when you feel ready. Have a chat with your yoga instructor. I have a back problem, or other injury, can I join in? Yoga is great for helping to reconnect to your body, which is important after injury. We ask that you tell us in advance of your retreat, if you have any major health issues, and then speak to each of the yoga teachers before your first class with them. Some yoga classes may be less suitable, depending upon the type of injury that you have, so please speak to one of our mentors when you arrive. All our teachers are highly trained and can offer alternative asanas during most classes. Developing a regular yoga practice is great for building back (and core) strength, so can help to prevent back ache in the longer term. If you need any further information then please contact us. I usually practice Astanga or Bikram yoga, do you offer these styles? No, the main style of yoga practiced at the retreat is Hatha. We do offer hatha flow classes (linking flowing movements and sequences) and some vinyasa classes, depending upon the availability of the teachers. Can I go to any yoga class or other activity, without signing up? Yes, just turn up to the classes or activities you want to participate in – you do not normally need to sign up. How many people are usually in a class? The number of people attending the retreat varies, and sometimes not everyone comes to every yoga class. When the retreat is full, there are usually around 20 people in each class, although sometimes this number is much lower. Yes, you can book a private yoga class with any of our teachers. Ask at reception and a time can be arranged. Private classes are usually 60 minutes long, for one or two guests, and there is an extra charge, payable locally. You can choose to focus on specific asanas, to go deeper into your practice, ask for help designing your own practice for when you go home, whatever you like. I have a regular yoga practice, is this retreat suitable for me? If you want some dedicated time to practice yoga daily, then our retreat is a great place to visit. We offer a range of classes designed for different levels – some classes are intermediate level, which will include more challenging yoga asanas or sequences. Other classes are suitable for all-levels, so there might be some beginners present. In these classes, most of our teachers give instructions beginner level upwards, so there are instructions for people who are more practiced, so they can be more challenged.